Brad Luna is the Technology Supervisor for the Lincoln County Department of Education. Mr. Luna in currently in his 4th year with the Technology Department. He graduated from Lincoln County High School in the class of 1994. After graduation, Mr. Luna attended Drake State Technical College and obtained a Certificate in Machine Tool Technology. He later completed his Associate's Degree with Motlow College in Fayetteville. Mr. Luna was employed as the first computer technician for the Fayetteville City Schools in 1997 and later became the Technology Coordinator. 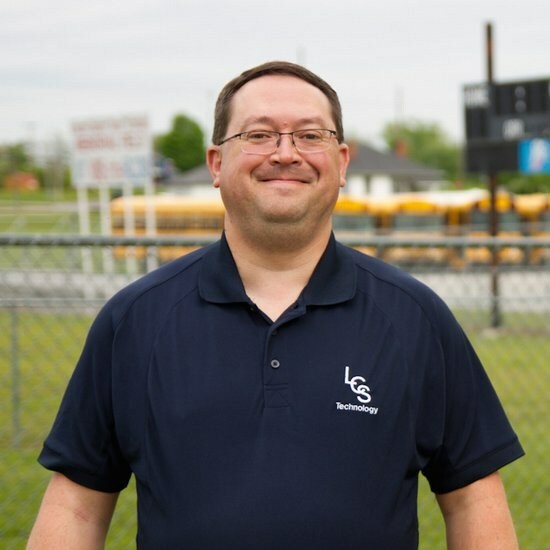 After 14 years of employment with the Fayetteville City Schools, Mr. Luna joined the Lincoln County School District as the Systems/Network Administrator in 2011. In 2013, Mr. Luna assumed the role of Technology Coordinator/Supervisor for the Lincoln County Schools. Mr. Luna moved to New Market, Alabama after marrying his wife, Heather, and resides there today. Brad and Heather have one son, Matthew Williamson, who now proudly serves in the United States Air Force.